The gaming developer WorldMatch offers casino users an excellent opportunity to choose exactly the slots they like, and its uniqueness lies in the fact that it created not just a huge number of slots, but also a lot of table games and video poker solutions. Since its creation in 2000s, this developer made no impact on the industry, but it’s not the goal of WorldMatch. The company strives to create the best experience for players, as well as give an opportunity to choose, that’s why there are more than 100 slots made by WorldMatch. With the help of WorldMatch slots, it is possible to control slot machines and the entire game process remotely, as well as controlling payment systems – both deposit and withdrawal of funds. In addition, each slot settings can be changed individually because of the way they are developed. 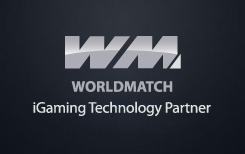 All WorldMatch slots are created using the latest development technologies, especially because of a careful work of hiring department, only top professionals with fresh ideas and love to gambling developments can join the team. There are several advantages that differ this developer from its competitors. The interface of the system is simple and clear to every player, both experienced and new ones. More than 100 different modern slots, of which almost all are made in HD-format. Professional design, animation and sound both in slots and table games. Integrated payment systems on the casino website work clearly and transparently. Professional technical support works for a full day. Partners are guaranteed constant legal support. All well-known operational systems support – Windows, iOS, Linux, Android. The functionality of the gaming platform allows players to play online table games with other users by inviting them via chat and in some other way to their gaming table. Such games are possible if the the opponent’s computer is good enough to play HD games online. Experts note the maximum opportunities in the process of setting up the WorldMatch Games. So, with ease you can limit or, conversely, increase the maximum bet, minimum bet, some percents of RTP and a lot more, from different languages to different colors. By integrating the WorldMatch environment into an online casino, the business owner acquires confidence in obtaining full information about the processes taking place in his casino, he can manage the size of the jackpots in slots and the number of bonuses, he can analyze statistical data and constantly improve the service in the online casino he owns. Separately, you can mention the quality and math of games that make slots colorful and exciting and attract players as a magnet to online casino sites. Another advantage of WorldMatch is its absolute security, high safety standards as well as the reliability and legality of the business due to the availability of officially issued documents permitting online gambling. Developers table games are also characterized by reliability and security, so there is always a guarantee of high-quality and round-the-clock operation. The activity is regulated by the British Virgin Islands. In addition, we must say that users of online casinos, where the soft of WorldMatch is used are guaranteed complete confidentiality of their personal data that was entered during registration. Experts and owners of the casinos where WorldMatch slots and table games are used, note its quick payback, and online casino users themselves admit that the slots are interesting and cause excitement and pleasure from the game. WorldMatch game slots have acquired a reputation for reliable and profitable products for online casinos, they are found everywhere and everywhere and are familiar to everyone who has ever encountered a game in the casino. The big interest of users is caused also by games from WorldMatch on Android which give the user an opportunity to play on the go, in transport, on the nature, in any country wherever he went. Using a mobile phone, you can open any online casino and have fun by spending time playing your favorite game.